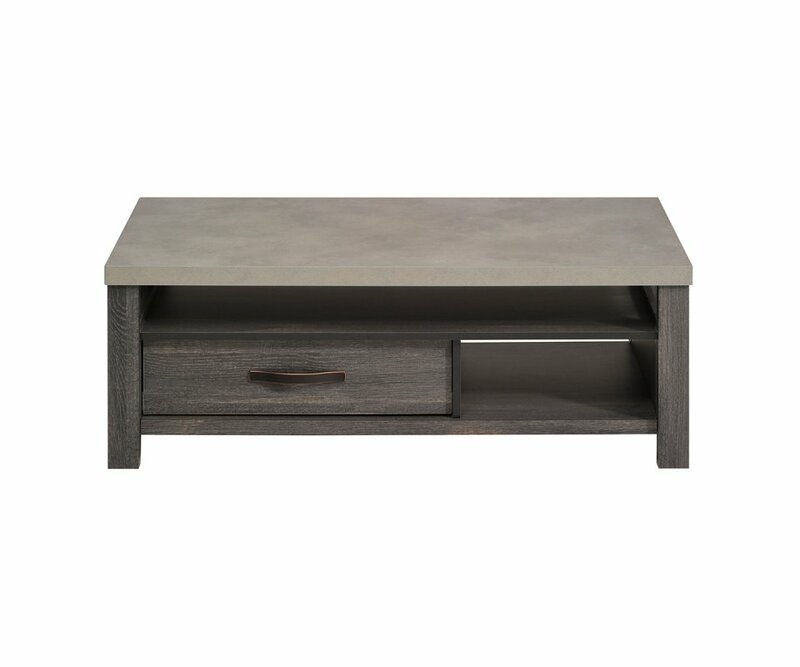 ECLECTIC STYLE: Add soothing color to your living or entertainment area with the two-tone gray of this coffee table. 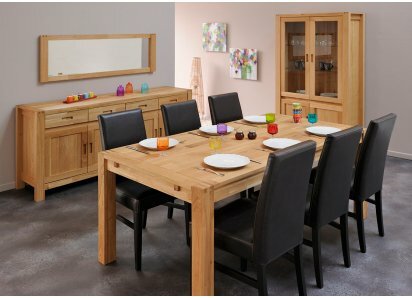 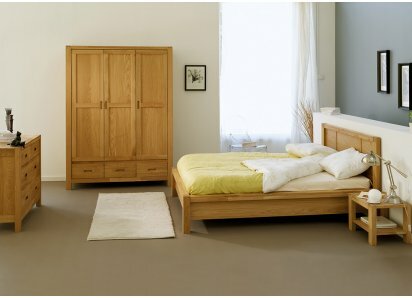 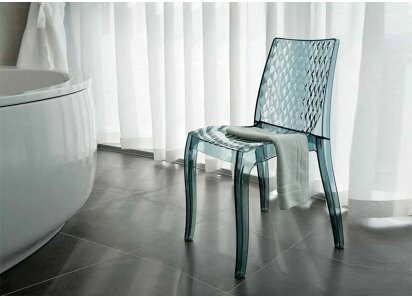 It has a casual rustic appearance that will welcome family and guests in style! 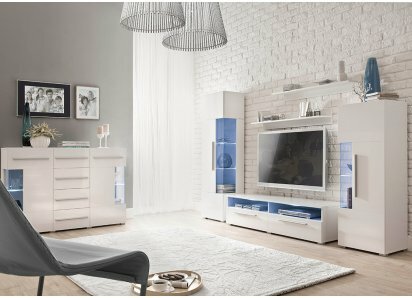 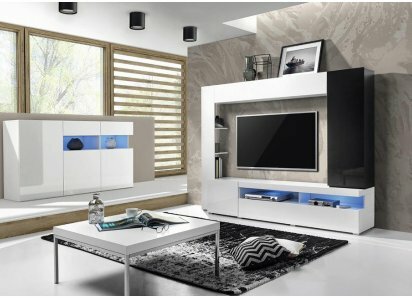 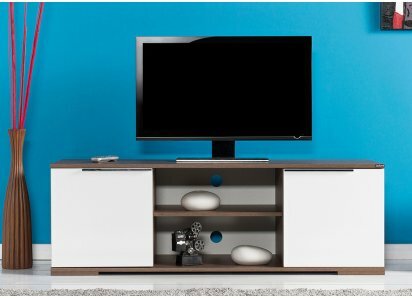 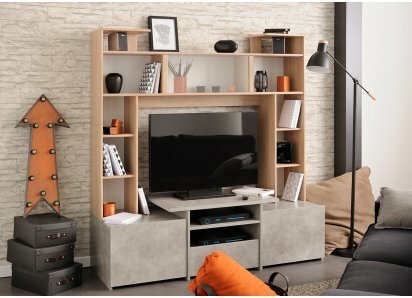 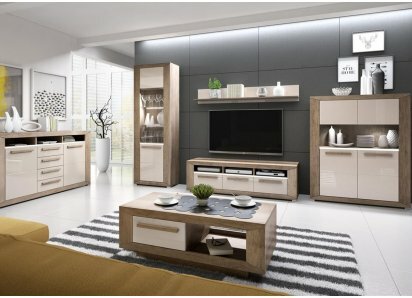 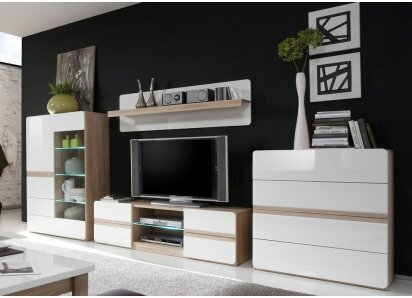 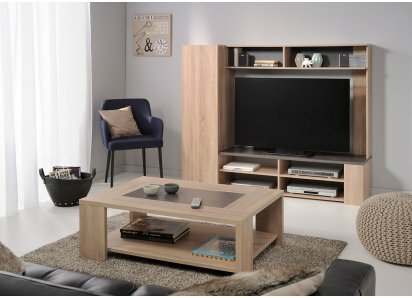 STORAGE SOLUTIONS: The coffee table has two open shelves for displaying and storing items you like to have close to your seating area, as well as a drawer for keeping clutter out of sight! 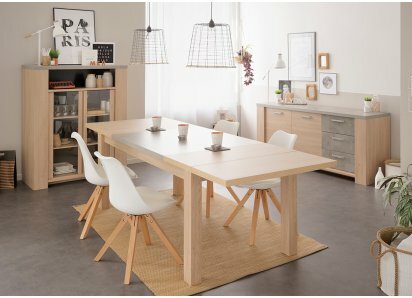 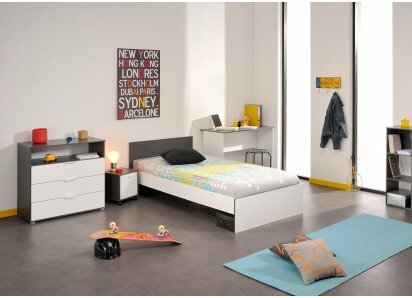 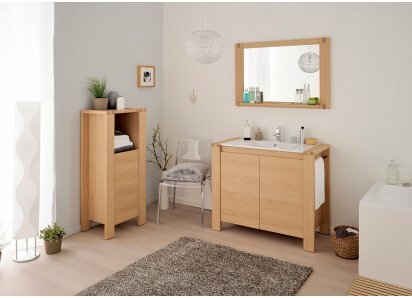 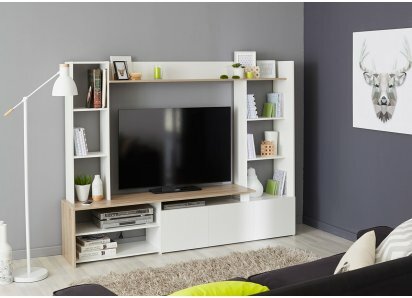 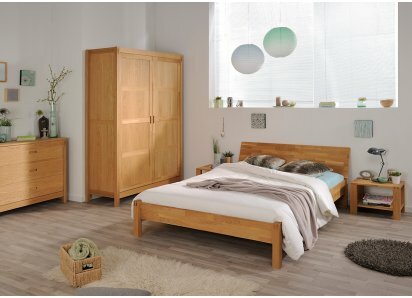 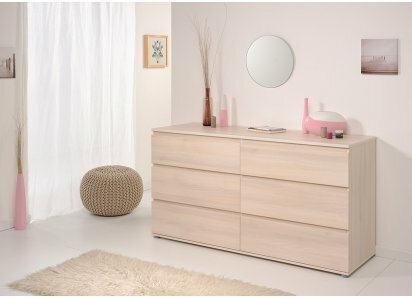 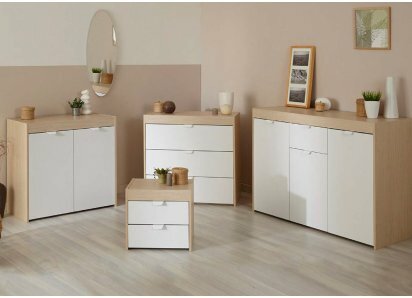 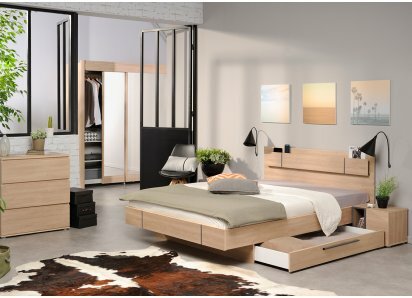 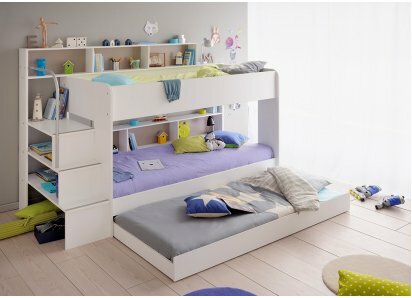 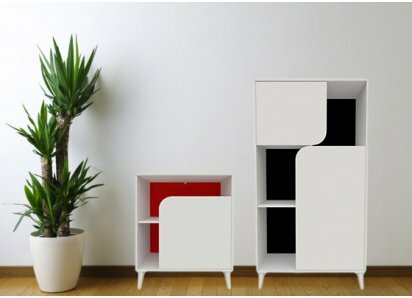 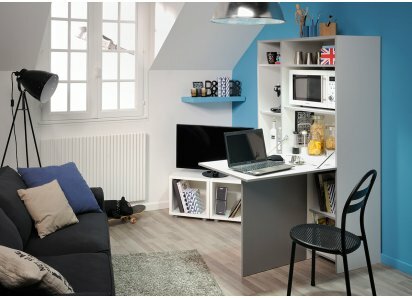 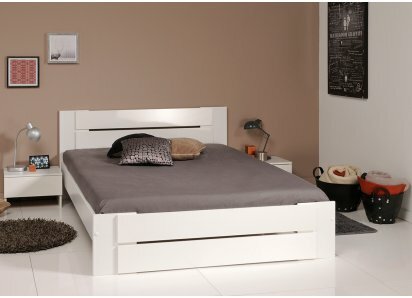 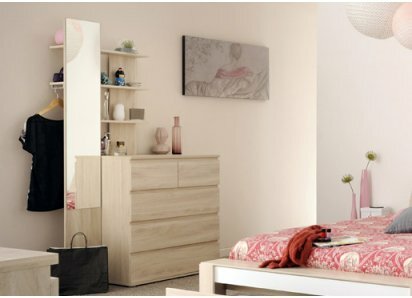 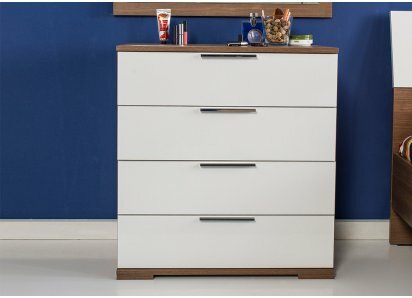 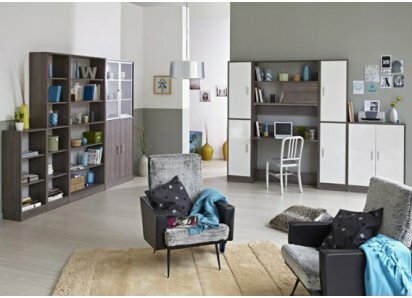 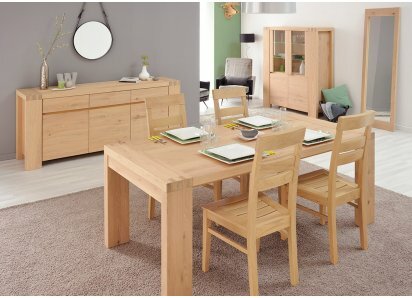 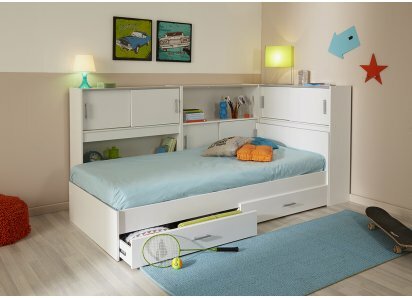 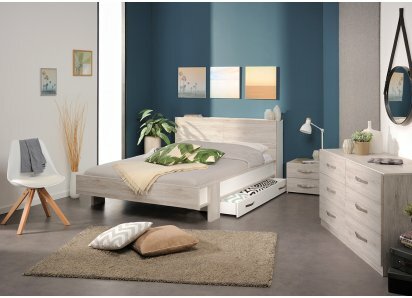 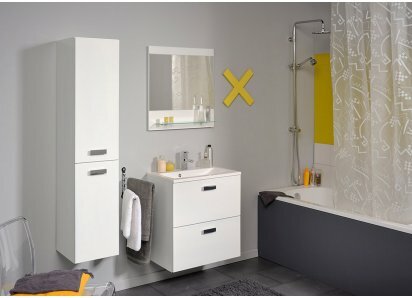 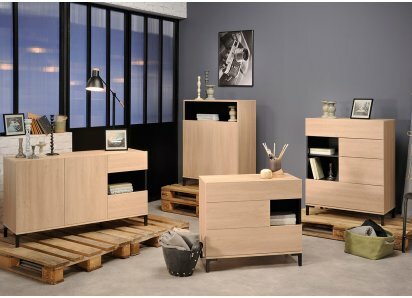 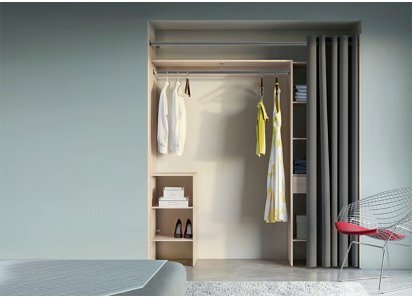 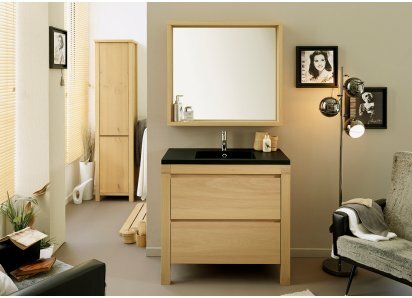 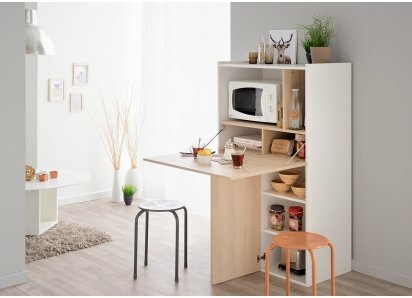 PARISOT QUALITY: Parisot of France uses only eco-managed wood sources, manufactures using low solvent emissions, and recycles diligently, earning them the Green Way award for eco-friendly manufacturing! 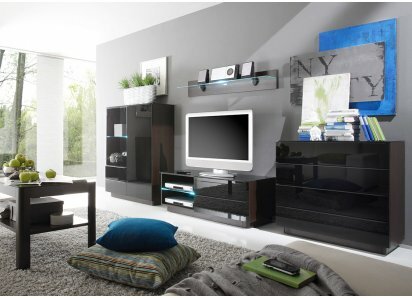 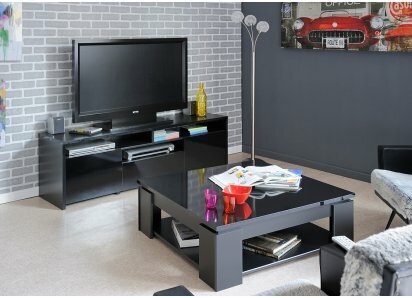 The Maxwell coffee table adds eclectic style and neutral, soothing color palette to your living or entertainment area! 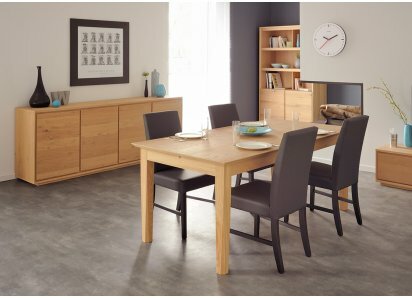 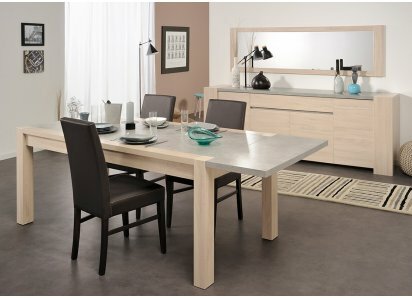 The two-tone gray Rustic Oak table is topped by a Polished Concrete surface, giving the table an industrial look that is distinctive in design, yet blends with most home décor color schemes and styles. 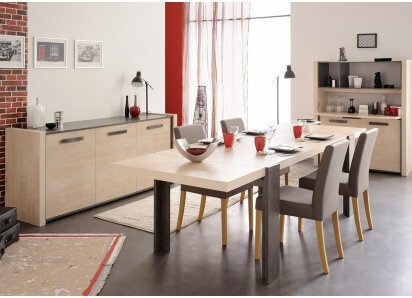 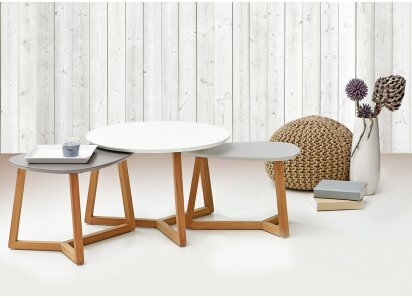 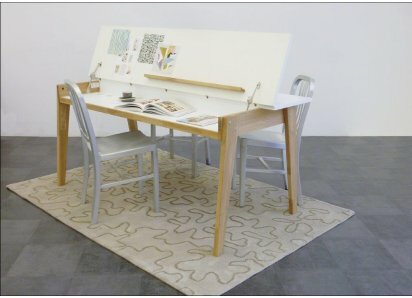 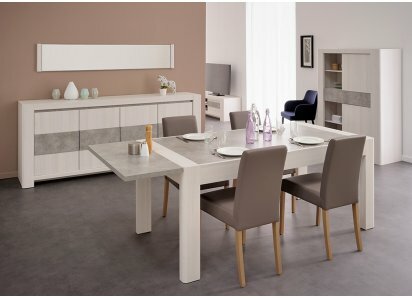 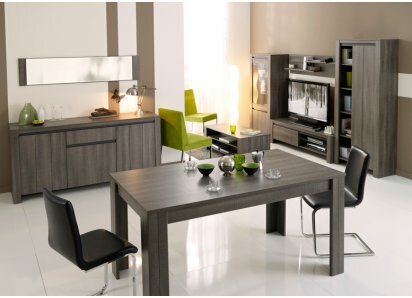 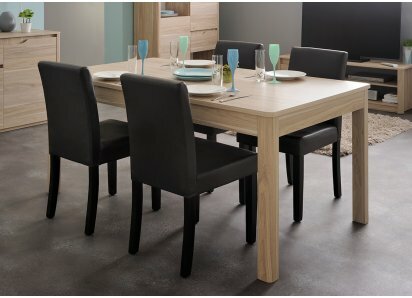 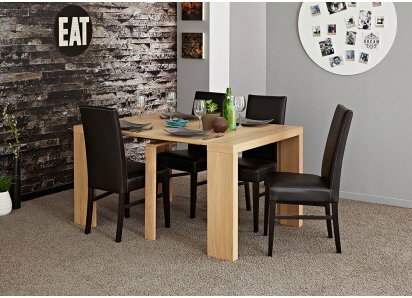 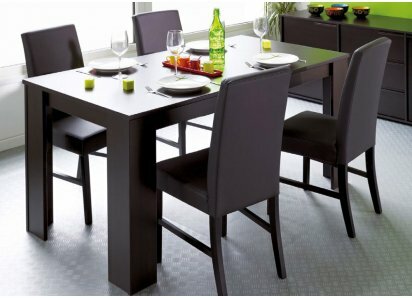 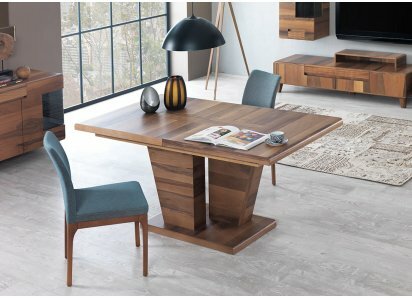 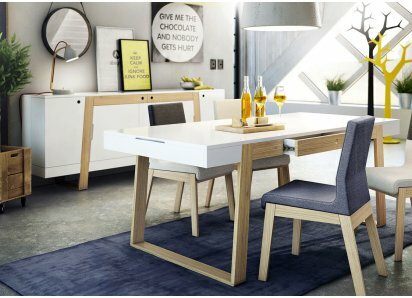 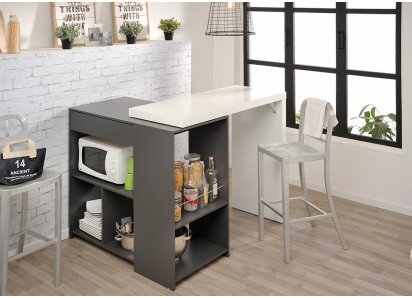 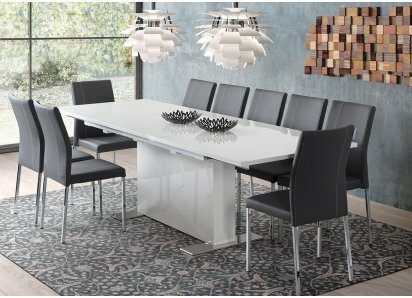 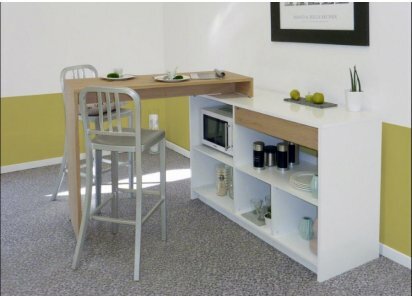 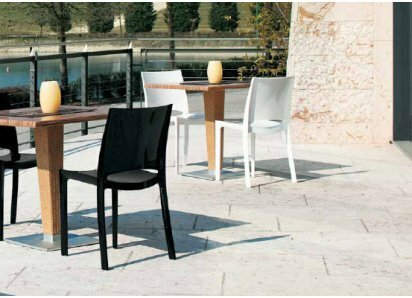 The table is made to be long-lasting and to retain its beauty, made from top-quality particleboard, joined with heavy-duty steel hardware, and finished in veneer that looks and feels realistic, and resists scratches, stains, water ring damage, and fading. 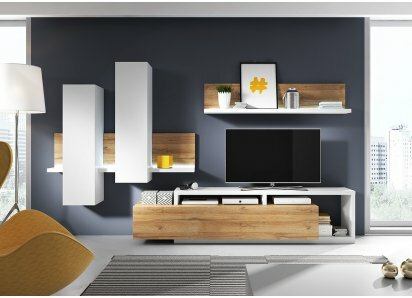 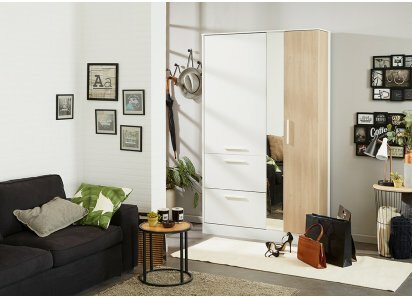 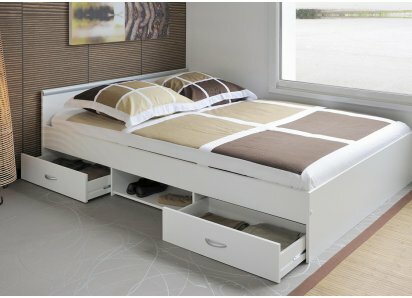 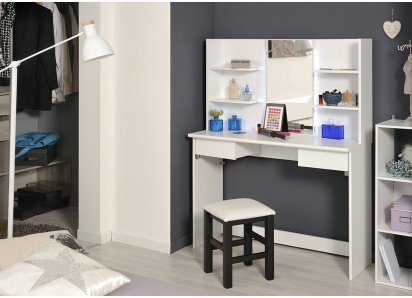 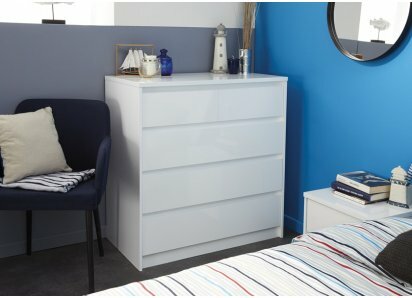 There are two open shelves for display and storing items you like to keep close at hand, as well as a roomy drawer for keeping clutter out of sight. 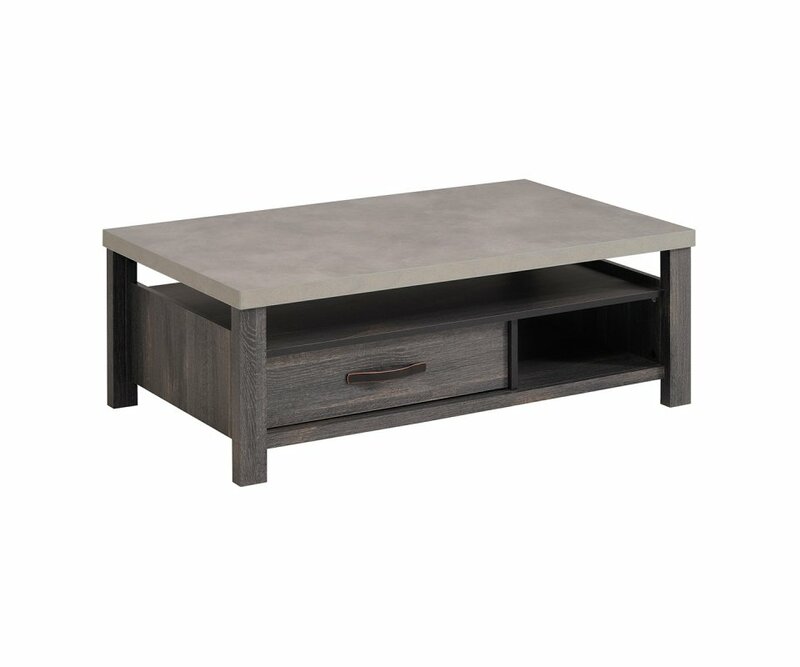 If you want a home entertainment area that is both elegant and on-trend for designer colors, as well as welcoming to family and friends, the Maxwell coffee table is the perfect choice! 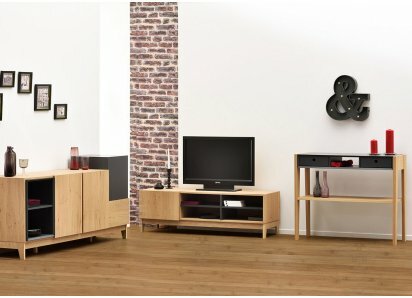 MULTIPURPOSE ACCENT: A sideboard cabinet provides a storage place as well as a serving station for your dining or entertainment area, and can be used as a buffet or cocktail or wine barBUILT TO LAST: Manufactured from eco-friendly top-grade particleboard, and joined with heavy-duty steel hardw..
INDUSTRIAL STYLE: The unique, industrial style of this plank-legged table creates a home dining table where friends and family will love to gatherGENEROUS SIZE: The table is over 6’ long, and almost 40” wide, and provides roomy seating for 4-6 peopleBUILT TO LAST: Manufactured from eco-friendl.. 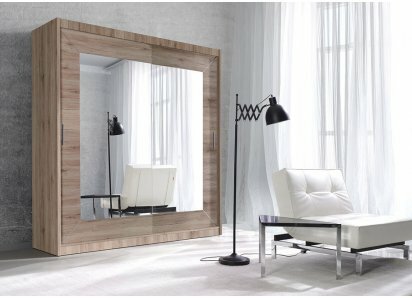 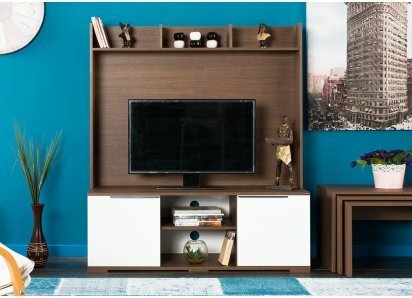 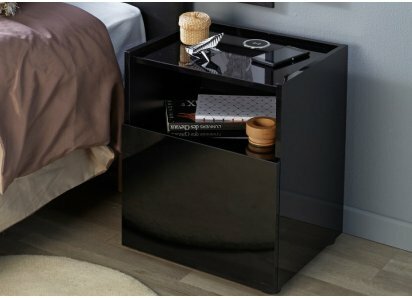 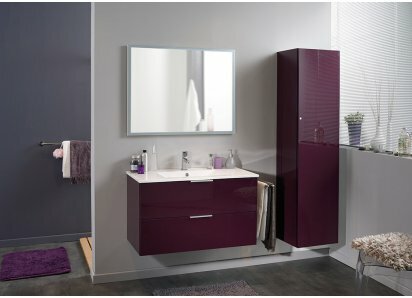 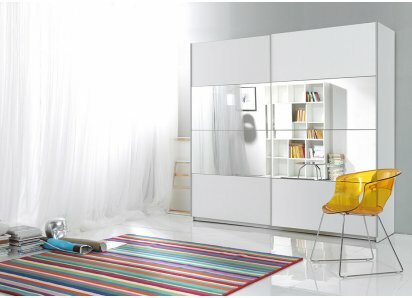 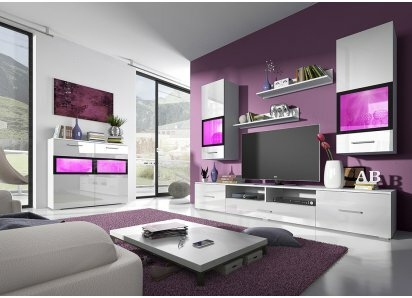 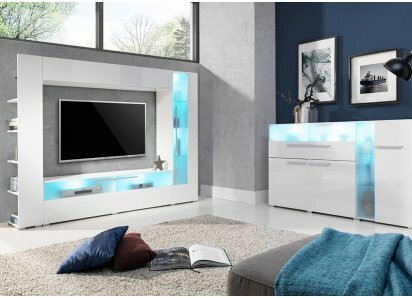 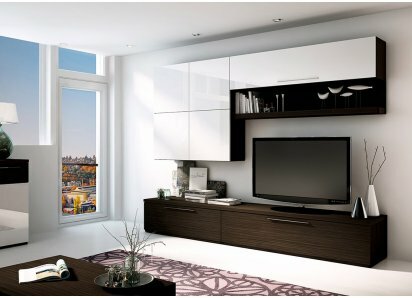 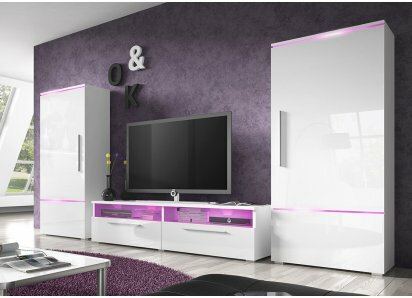 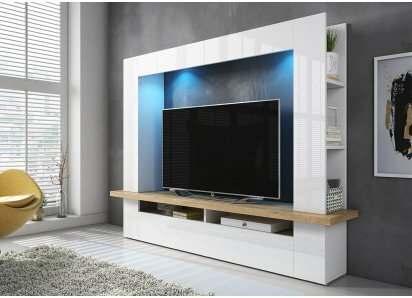 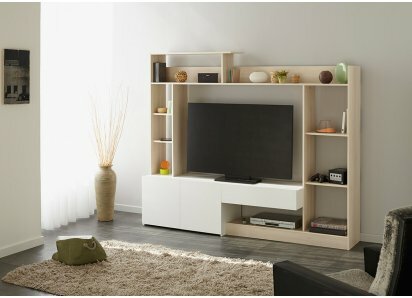 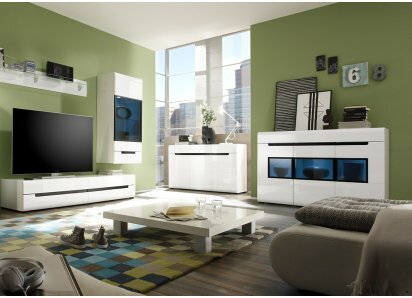 CONTEMPORARY STYLE: Rich coloring and glass pane design create a cabinet that accents living or dining areas from casual or rustic, to urban industrial or traditional home décor styles!CREATE A UNIQUE DISPLAY: The paned-glass door reveals shelves for your favorite things, from collectibles to .. 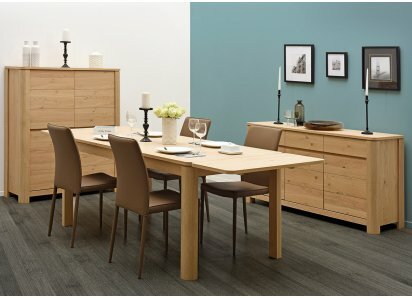 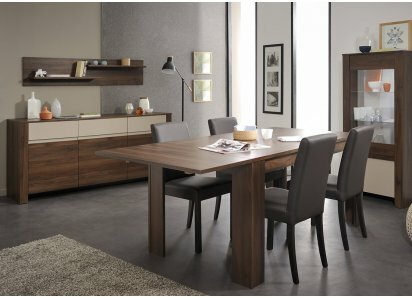 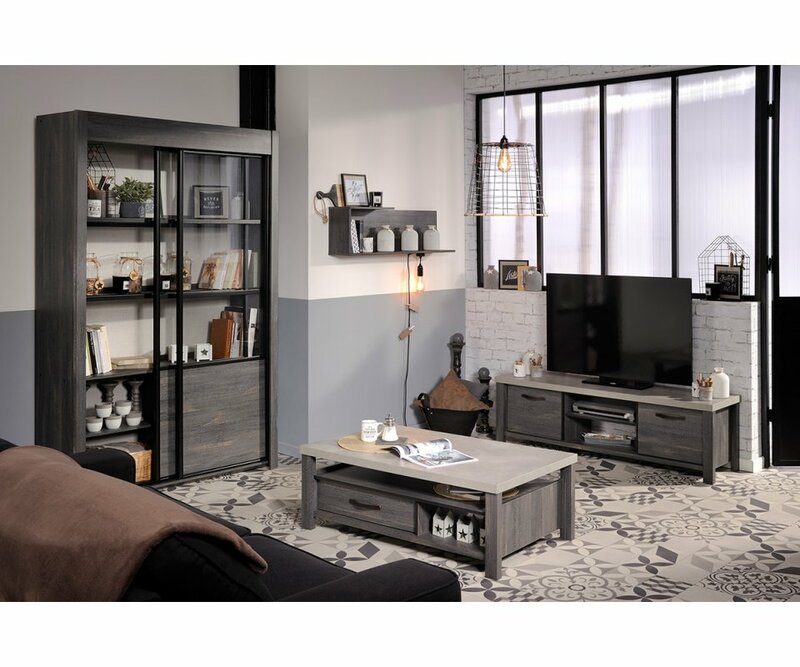 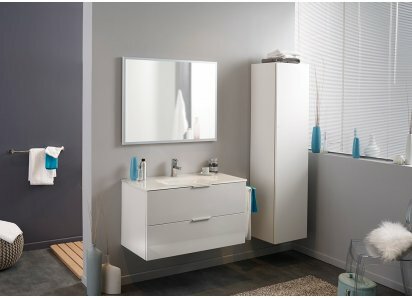 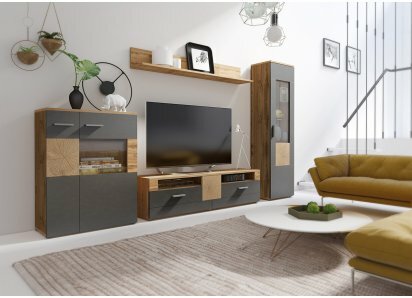 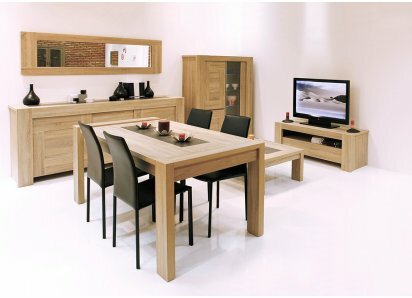 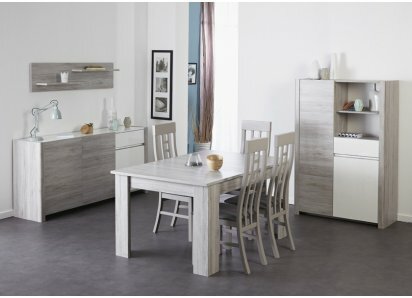 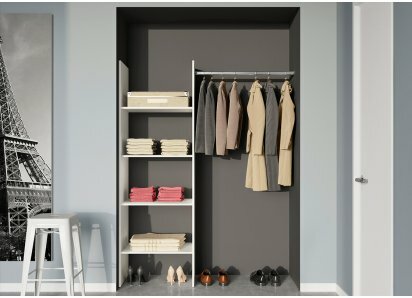 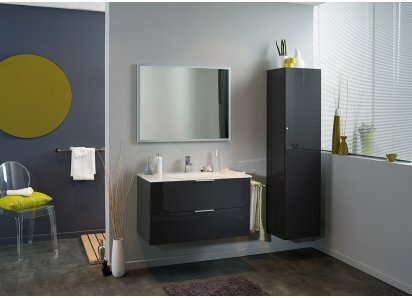 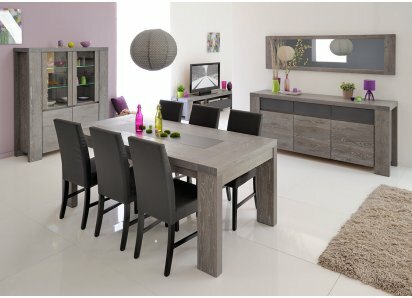 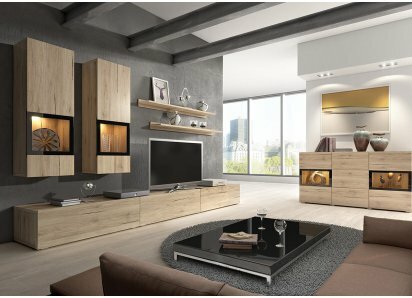 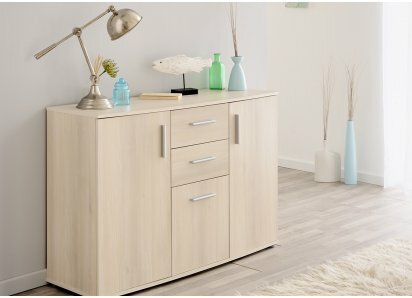 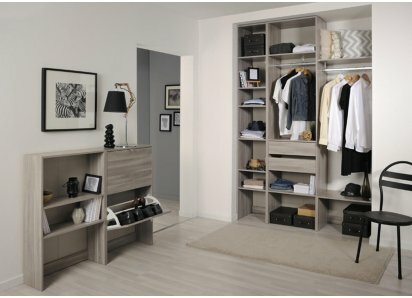 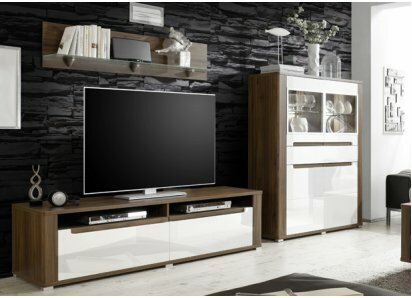 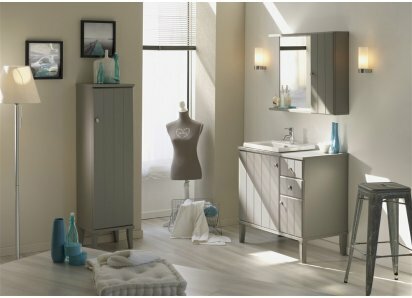 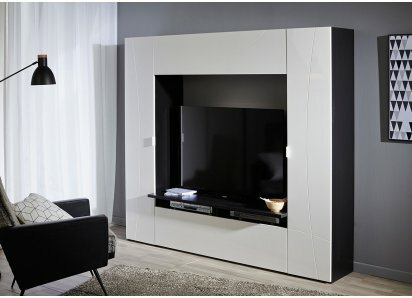 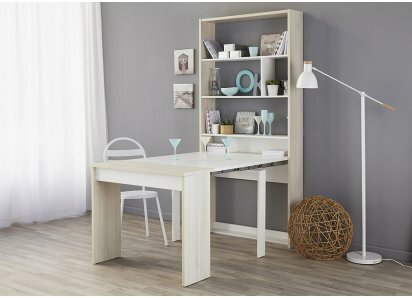 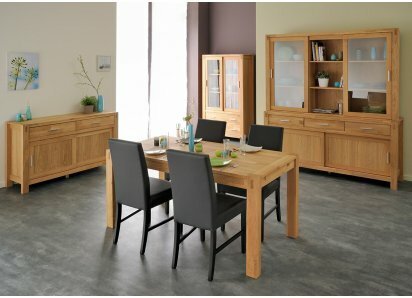 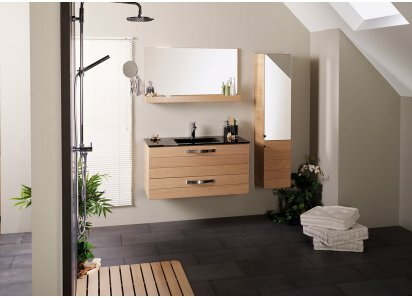 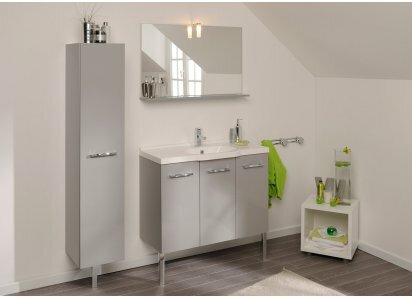 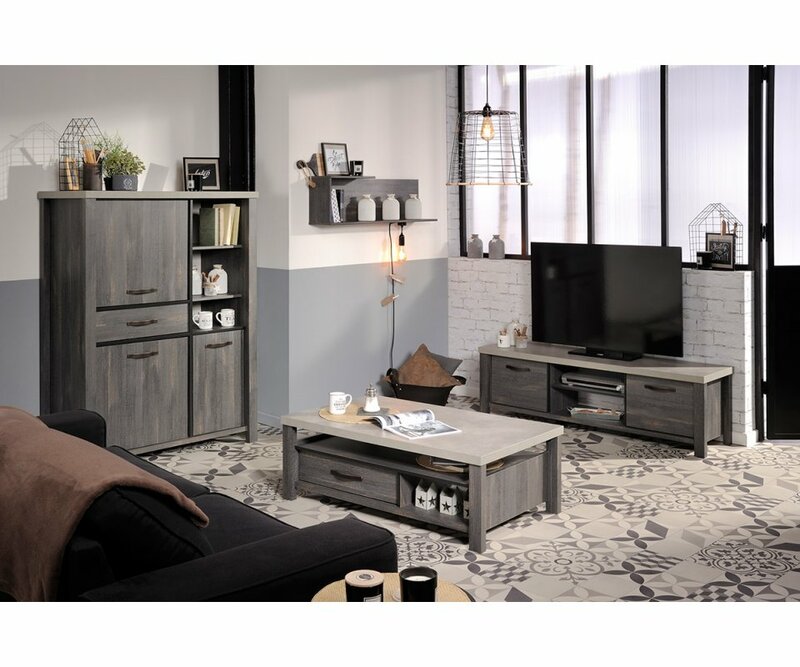 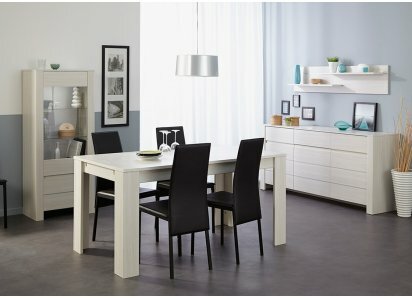 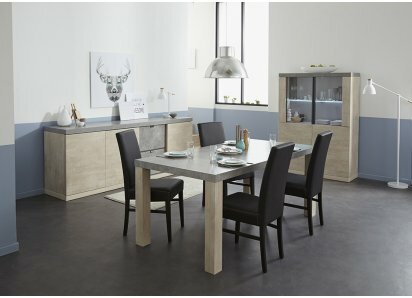 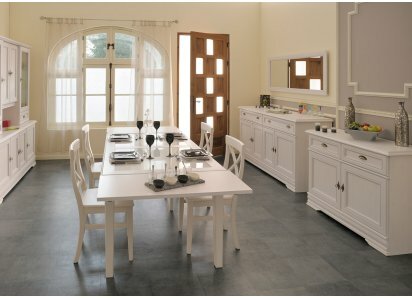 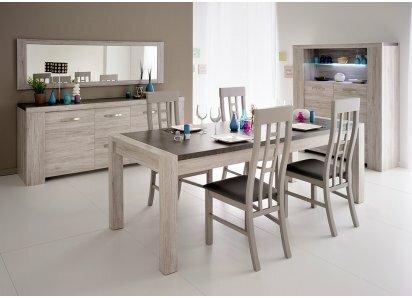 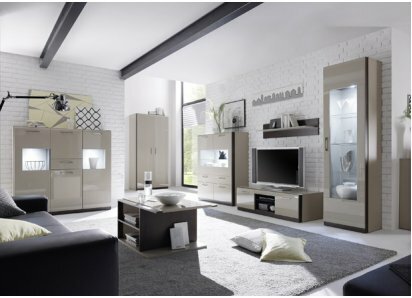 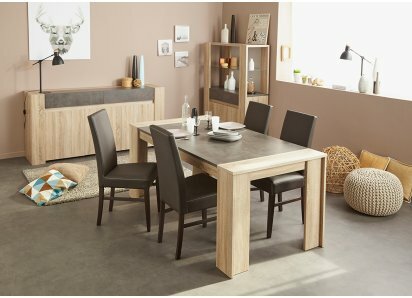 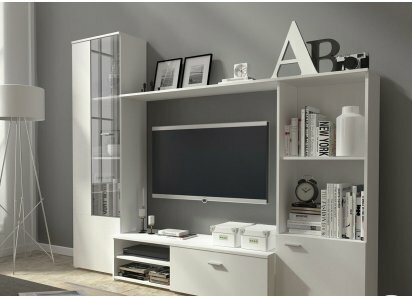 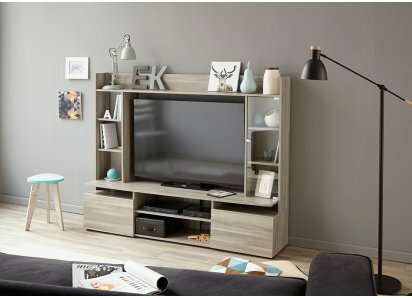 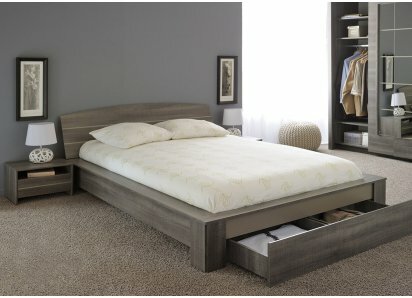 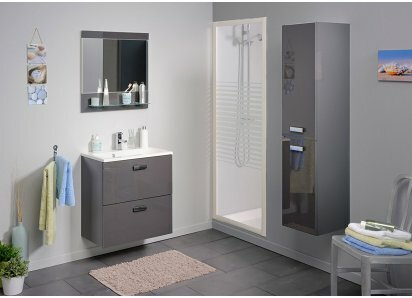 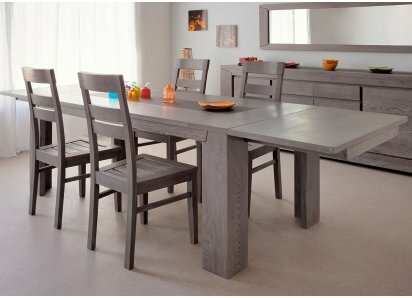 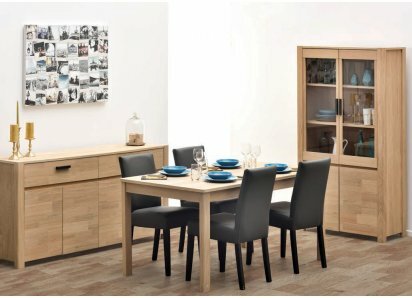 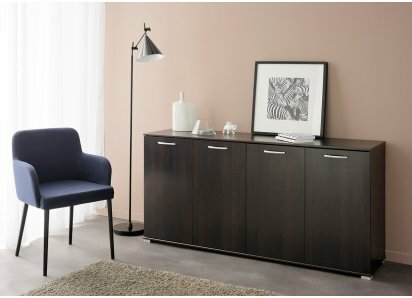 UNIQUE STYLE: The combination of Rustic Oak gray finish, with darker gray trim has an elegant, yet rustic appearance. 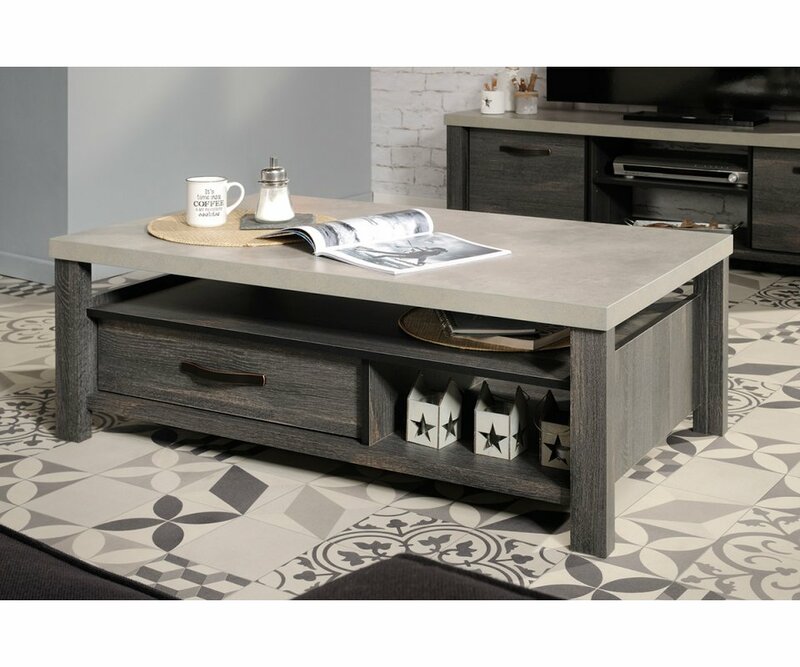 Add the Polished Concrete top, and it takes on a sophisticated industrial look!STRONG & LONG-LASTING: Manufactured from eco-friendly top-grade particleboard, and joined wit..
ECLECTIC STYLE: Add your favorite items, from collectibles to plants, photos or books, creating a display that highlights your unique personal styleBUILT STRONG & DURABLE: Built from top-grade particleboard and heavy-duty steel hardware, so shelves will stay straight, without bowing or spl..
CASUAL STYLE: Flared plank legs below a rectangular plank top adds a distinctive industrial touch to this gray-tone benchROOMY SIZE: The bench measures 54.25” L x 17.75” D, providing a comfortable seat for two peopleBUILT TO LAST: Made from top-quality particleboard and put together with heavy..
ECLECTIC STYLE: The TV is the focal point of the entertainment area and needs an elegant setting like this TV table in monochromatic gray that will coordinate with your home décor colors and style!STRONG & LONG-LASTING: Made from top-quality, eco-friendly particleboard and heavy-duty steel..